Entries for Labour Weekend 3-day close tonight – avoid late entry fees. Day 1: Middle distance on Riverside/Riverlands – subtle contour details on river flats plus the added bonus of a rocky hillside. remapped and extended by Bryan Teahan in 2018. Day 2: Long(ish) distance aon Mingimingi – rolling pine forest in the eastern Wairarapa. Mapped by Bryan Teahan for the 2018 NZSS Champsionships, but with a new extension. Day 3: Multiday distance on Mingimingi/Glenlean – rolling to steep mixture of open and forest/bush. A mass start race with multiple splits/loops. 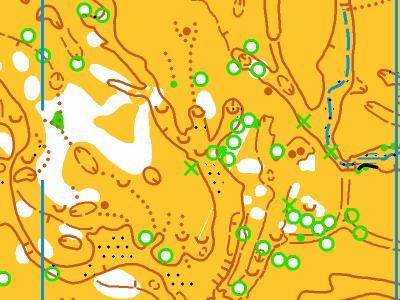 Mapped by Michael wood and used for the Oceania relays in 2013.